OSWEGO, NY – Oswego City Councilor Nathan Emmons (R-3rd Ward) has officially announced he is running for County Legislator in the 15th District in Oswego County. The 15th District represents the west side of the city of Oswego including parts of the First, Third and Fifth wards. The 15th District position is currently held by Jake Mulcahey, a Democrat, who has announced he will not seek re-election. In addition to serving on the city council since January 2016, Emmons is also a small business owner. In 2013, he opened Just Push Play Productions, a professional DJ company that provides services for weddings and special events. Additionally, Emmons assists his wife, Lisa, who is the owner of Mother Earth Baby, a downtown Oswego small business that has been in operation since 2009, which specializes in natural baby products, a cloth diaper service and additional eco-friendly products for the entire family. Emmons said his small business experience and tenure as a city leader has prepared him to run for a county seat. “As a business owner myself, I understand the risk and challenges in running a business. As a city councilor, I also understand how government can help or hinder small business development and growth. Having experience and knowledge in both the public and private sectors I am prepared to put that firsthand knowledge to use in county government,” he said. Emmons has an earned Master’s Degree, spending 17 years working on college campuses, most recently at SUNY Oswego from 2007-2013 serving as the Assistant Dean of Students. Emmons has also worked at the Greater Oswego-Fulton Chamber of Commerce and has served in many community organizations. Emmons pointed to the recent resurgence in the city of Oswego and his participation on the city council as a big part of what he can bring to the county legislature. “In the city we certainly had to make some tough decisions to prevent significant tax hikes. We had to increase government efficiency while improving basic services. We had to pursue grant money to move the city forward and we did. The city council and mayor worked well as a team. We stepped up to address many long standing and difficult issues in our city and we have made significant progress addressing many of those issues. As a legislator, I want to be there to help and add the concerns of my constituents directly into the discussion. It is easy to publicly grandstand, or be the contrarian and play party partisan politics. However, I take my responsibility as a representative very seriously and I think my constituents and my colleagues will tell you I am all business when it comes addressing problems, finding solutions and being there to help my constituents,” Emmons explained. Emmons summarized his inclination to run for county legislator by noting his connection to the Oswego community. 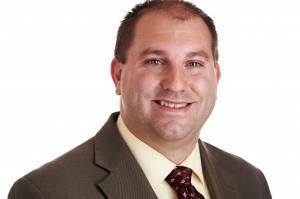 “I own and operate a business here and want Oswego to be a vibrant, business-friendly city. My wife and I are raising four kids here whom we want to feel safe, happy and proud of their community. My wife and I love our home and enjoy being an active part of our community. I want to see Oswego succeed. We are finally seeing real progress in the city and I want to ensure that the county government is an active partner as we work together to really move our community forward,” Emmons said. Emmons, along with his wife, Lisa, and four kids resides in the city of Oswego. Emmons has served on the Oswego Common Council since January 1, 2016, is currently the chairman of the Planning and Development Committee and is a registered member of the Republican Party. No other major party candidate has announced candidacy in the 15th District at this time.